Just because I receive messages doesn’t mean that I understand their meaning. Case in point. Since I don’t have an intuition that speaks to me, I use many different tools to receive messages. One is a card deck titled THE ASCENDED MASTERS. Supposedly, they are all ascended beings of extreme talent that have passed over, that provide guidance to us still below. I’m often told to drink more water, or focus on my strengths. Four days in a row I drew the card that told me to GO NOW. Needless to say, I had no idea where I was supposed to go. No extra hints or messages were coming forth. I have drawn that card before when a trip was planned — either shopping, to the camper, or a trip of longer distance. I had plans to do neither. To say I was confused is an understatement. This has been an extraordinary week. My youngest daughter’s mother-in-law is in the hospital for a pacemaker. My ex-son-in-law is in rehab for diabetes, tumor issues. My ex daughter-in-laws mother was in the hospital from issues stemming from diabetes. (She passed over on Sunday.) I just received word today that my middle daughter’s husband is in the hospital with chess pains. And my oldest daughter’s spouse is sick again. GO NOW! Where exactly? I became so frustrated, I shuffled the cards. I was advised to focus on my strengths. I have been remiss on exercising. My challenge is to heal the sore on my left leg, (still a painful issue, one step forward, two steps back,) and lose weight. Because of life, I haven’t been consist with exercise. Even though I eat healthy for the most part, sodium issues keep me honest, the pain adds an extra dimension to my life that I would happily discard. I digress. The advise to GO NOW, became more understandable when my husband went to the camper without me on Sunday. Issues with Comcast, and an appointment, kept me in town. While my husband was at the camper, the water heater connection over-heated, and melted. I’m not sure if that turned off the electric to our trailer or my husband’s desire to fix the problem caused the power outage. In either case, yesterday he was able to connect the refrigerator to power and today, with the help of qualified service personnel the problem has been resolved. Hopefully our Comcast problem has been fixed. More important, I’m trusting that all three of my son-in-laws, one an ex, will soon be recovered form their health problems. Enough friends in high places! As for me, I will continue to do the best I can with each day. It might not be the best, but I’m trying! When I mentioned the past couple of days to my oldest daughter, she advised me to write. For a change, I listened. So, how do I begin? Good question, no answer. I know I have written about roses before. I have written about the many times that roses have appeared in my life. I’m remembering the unexplained rose, not the gift that comes in a bouquet from my husband or the beautiful flowers growing in gardens during the summer. Rather, I’m thinking about the unexplained rose — the fragrance of a rose garden at Queen of Heaven cemetery in 1991.The scent announced the presence of the Blessed Virgin Mary. The rose that appeared on our mailbox in June the year my father passed. I thought it was a fresh rose, picked from a neighbors bush, — nope — a silk rose. Anonymous gift. Then, the white rose that I received at the Renaissance Faire from Sir Walter Raleigh the week before my husband’s second cancer surgery. This year, Mother’s Day week shopping in Dixon, Il., I discovered a beautiful long dress on sale that reminded me of a rose. Even though it was a purchase, I’m counting it among the roses. A) There were no other dresses like it. B) It FIT! A new rose has just been added to the list. Our grandchildren came from Florida for a visit. Many of our family gathered on a hot Saturday at the Renaissance Faire to celebrate its 25th anniversary. Rain was predicted, as well as hot temperatures but we only had one day available. Another hot, 95 degree day this summer. The Floridians were used to this heat, in fact, they thought it wasn’t hot at all. We thought they were nuts. But I digress. Clouds gathered, a short misting decreased the temperature and the sun came out again. Thankfully we didn’t have a STORM which has occurred too often this summer. I heard music, heralding the procession of the queen and her court. The sound called me. 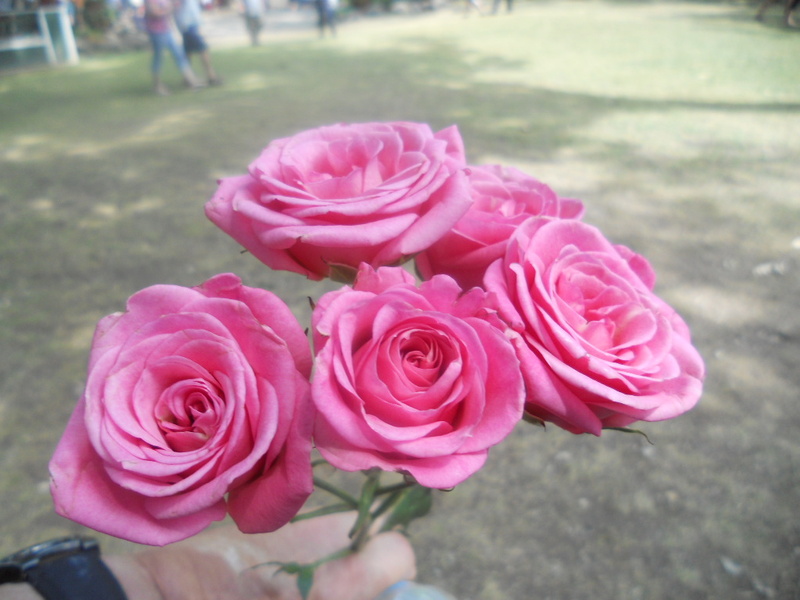 As I stood there, a gentlemen dressed in all his finery, handed me five pink roses. And was quickly gone. What a lovely surprise! I was reminded of the pink earrings that fell a couple of weeks ago, pink — the color of love. THANK YOU! Do you think all gifts come in boxes or are wrapped with beautiful paper and tied with a bow? Once upon a time, I might have thought that was how gifts were given. 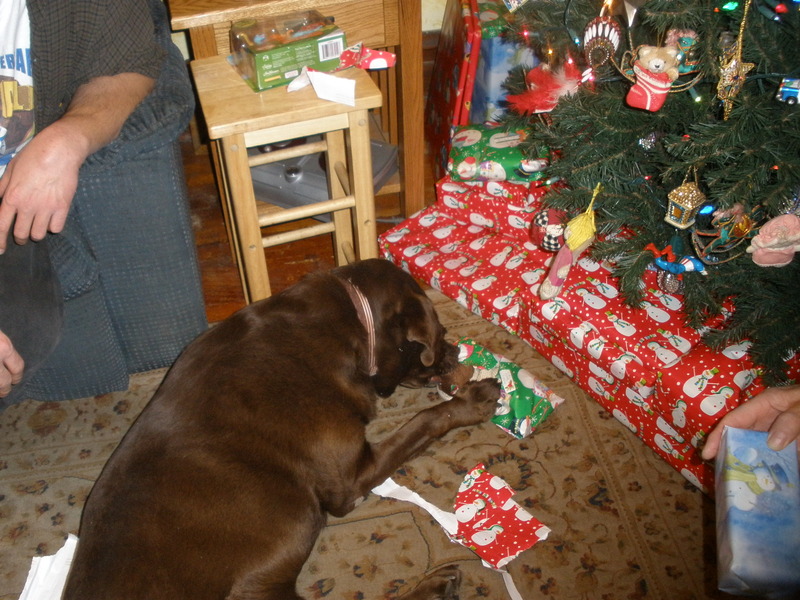 I have since learned that those types of gifts are only a very small part of the presents we receive. I have already mentioned the trouble I had printing a chapter from To Pap, With Love. I thought the problem was in the description of the party, it took a long time before I learned that we had received a present — the storm clouds moved on and we had a beautiful day. Our grandchildren are visiting from Florida. Temperature in the city was forecast to reach 100 degrees — not the time to visit the zoo — air conditioned space was preferred. 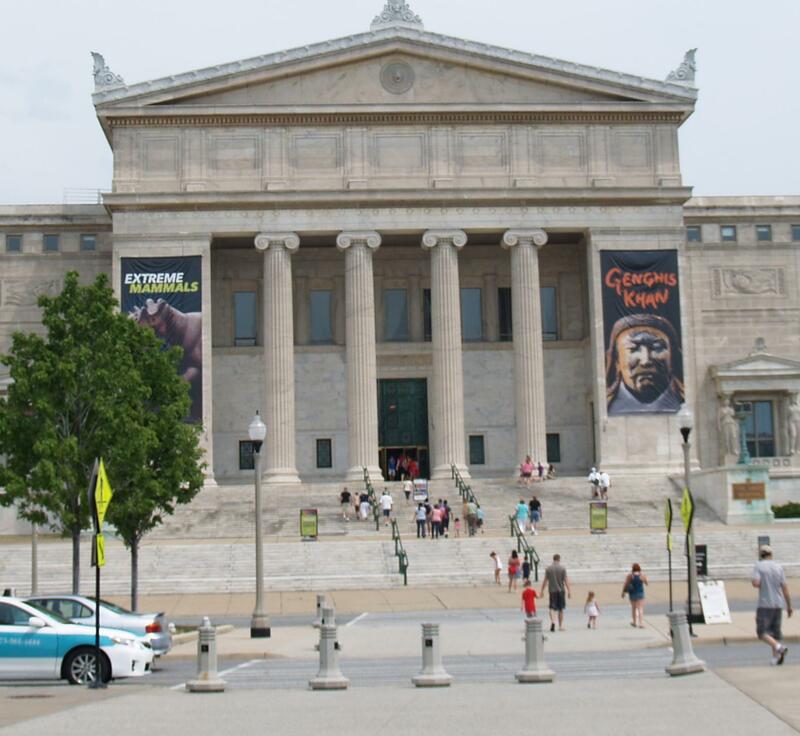 I have a senior membership at the Field Museum, but that would allow only two adults to enter. We received a gift that day, we had tickets available for Genghis Khan which enabled both of our grandchildren to enter. Our grandson had read about his life and was very interested in seeing the exhibit. We DO NOT have central air conditioning in our house. It is over a hundred years old and would require too much money to have it installed. We have gradually added a couple of window units, one per floor, to keep the temperature liveable. Fourth of July, temperature 101, 105 forecast for Thursday. A transformer on our block quit working at 7:00 PM. At 5:30 AM I heard a hum in one of our bedrooms, electric was back on. I said “THANK YOU”! I was worried about our remaining pug — Lexie is fourteen, deaf and partially blind. The two footed occupants of our house could go to a store, the museum or the mall. What would we do for Lexie? She would not be able to handle the heat. Thankfully the electric was back on. Often something happens which alerts us to a bigger problem. Water on the floor, unexplained noise in the car — little things that point to a possible problem if we are alert. Even though they are inconveniences, slivers or blisters at the time, they have saved us from damage. Last year, our car needed ball joints that was discovered during a routine checkup before a trip. Recently the car needed stabilizer links. Noise brought the problem to our attention. Last but not least lets not forget the many people: friends, neighbors, doctors, mechanics, store clerks and complete strangers that are often there when we need them. Is that a photo of a toilet seat? Why? Yes it is, and I have included it because one very similar, fell off the top rack in a big box store and hit me on the head. No, I’m not kidding! I had a beautiful goose egg on my forehead for over a month and my eyes were very colorful — color changed daily. It has taken many years but I have finally acknowledged that I walk to a different drummer. No, I’m not psychic, nor do I have communication with my intuition or guiding spirits. When I attend a guided meditation, I sit there with closed eyes and everyone else wanders to a lovely place, while I remain sitting there. A friend referred to me as chopped liver. I have been told that I have talents that I’m not using. And that may be true, but I haven’t developed them yet. Every once in a while I’m gifted with a prophetic dream or third eye vision. They are few and far between but I try to pay attention. I’m aware that I have friends in high places that “help me” on a daily basis. Sometimes I’m aware of their help, many times they operate in the background without my knowledge. Twice a year, I enjoy going to the Mind, Body, Spirit Expo. And that is where this story actually begins. Bluehawk Stec, who is very gifted at channeling the Ascended Masters, conducted a workshop. 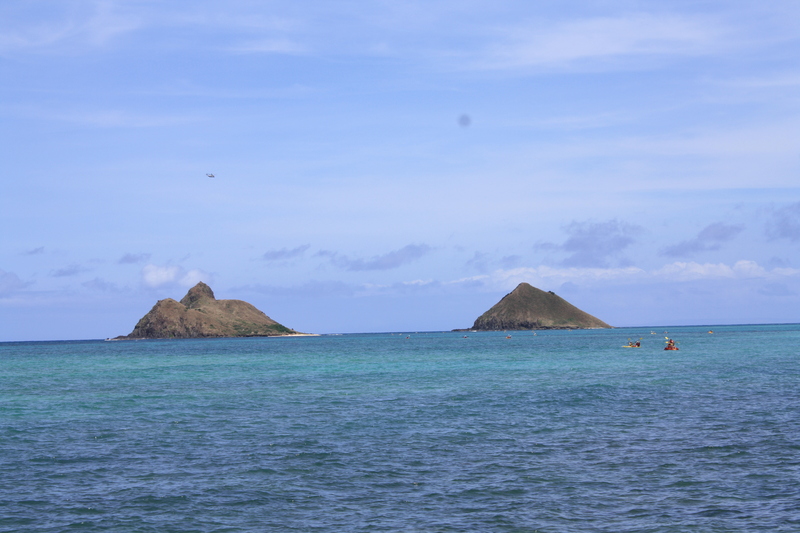 We were invited to ask questions of the Hawaiian Master. I decided to pass, I didn’t want to hear the answer. That was Sunday. Monday, a beautiful summer day, I drove around town doing errands. I was very happy, moving right along, only a few more stops to make when I stopped to buy a new toilet seat. 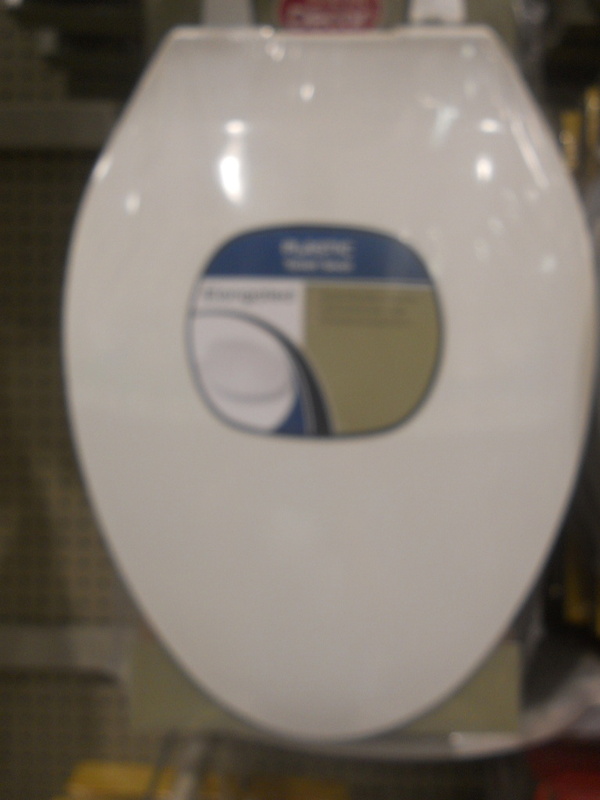 The toilet seat on the shelf above, fell down and hit me above my eye. (I had not jostled it or in any way disturbed it.) Immediately I went to customer service and asked if they had any ice. NO! My head was already swelling, they wanted to call an ambulance. I didn’t have a headache nor was I dizzy. I decided to go to the grocery store across the street. I promised I would return if I felt dizzy. At the grocery store, I bought a frozen bag of peas and attached it to my head with a bandana. Then I went to the warehouse store. Since I’m a regular visitor, many enjoyed the spectacle that was me, walking around with peas on my head. Of course, I told them all my story. One asked what I was sitting on the pot about. Of course, I have had experience being hit on the head by many things. Nothing as serious as the toilet seat. I wondered if it was “my friends.” I wouldn’t put it passed them. I solemnly promised family and friends that if I’m ever serious injured again, I will not refuse assistance. My husband and I were in Florida for the graduations of our two older grandchildren — one from high school, the other from nurses training. Florida was experiencing heavy rain on a daily basis. The rain gauge at my daughter’s house overflowed at 8 ½ inches. Despite the weather, both graduations, one held outdoors, were dry. Taking advantage of a break in the weather, we wandered to St. Augustine. We stopped in the Cathedral-Basilica of St. Augustine — America’s first parish founded September 8, 1565. Outside it was a sunny, hot, humid 92 degrees. Inside, it was cool. As is my nature, I visited and took pictures of the various statues. I recognized St. Joseph, Our Lady, The Infant Of Prague, and St. Patrick. One statue puzzled me. He wore a monks robe and was handing a loaf of bread to a man. I knew he wasn’t St. Francis of Assisi, no birds or other animals were present. When I inquired of a man wearing an ID from the cathedral, I was told it was St. Joseph. I explained why I knew it wasn’t St. Joseph. He wouldn’t have worn a monk’s robe. 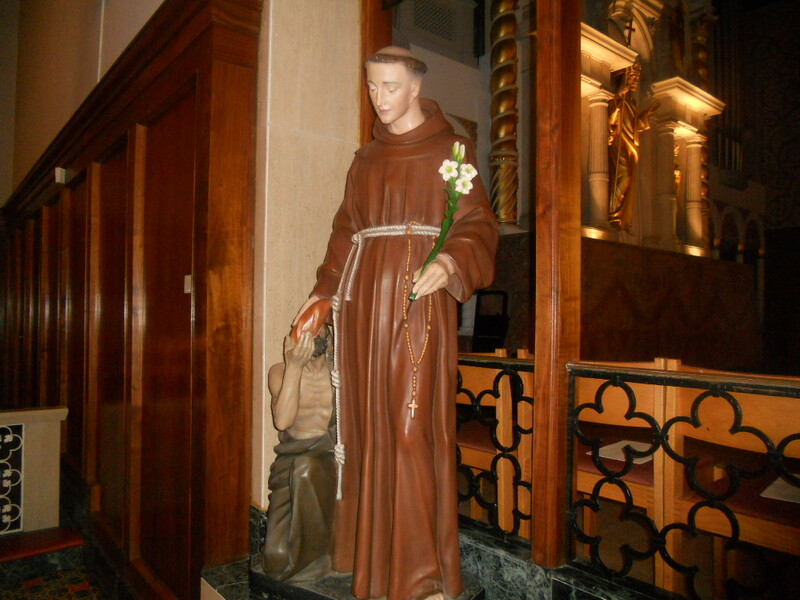 I thought it was St. Anthony of Padua. I seemed to remember that loafs of bread were handed out to celebrate his feast day. I wasn’t familiar with St. Anthony until after my father’s death in 1995. I was downtown at St. Peter’s for Mass on a Tuesday when they said a novena to St. Anthony. Tuesday’s were free at the Art Institute and various exhibits called my name. I found myself downtown on numerous Tuesday’s after that, each time I stopped for Mass, and the novena. When the number of Tuesday’s increased, I realized that St. Anthony had to be involved. I was writing and trying to publish To Pap, With Love. I learned prayers were said to St. Anthony for missing items, but I didn’t think anything was missing. I was puzzled but curious. I decided to finish the novena — nine Tuesday’s which ended on his feast day. Leaving church on that day, we were handed a small loaf of fresh Italian bread. I learned St. Anthony was known for his preaching ability. When his body was exhumed 30 years after his death, his tongue appeared to be alive. I laughed, I knew I needed help with the writing. Before I started this blog, I was downtown on a Tuesday, to get city stickers for our cars and stopped at St. Peter’s for Mass and St. Anthony’s Novena. Nothing has changed, I still NEED help with the writing!